Alas, Watson, your matchmaking hopes will not be realised. In the Canon, crime-fighting is a man’s game. Although I think that Arthur Conan Doyle did a fairly good job portraying the female clients, victims, and, (rarely)villains–the fact is, with the exception of Mrs. Hudson and the seemingly short-lived Mary Morstan, women don’t have recurring roles in the world of 221B, and those who do spend a great deal of time currying fowl and visiting relatives. In the world of pastiche, it’s often a different story. 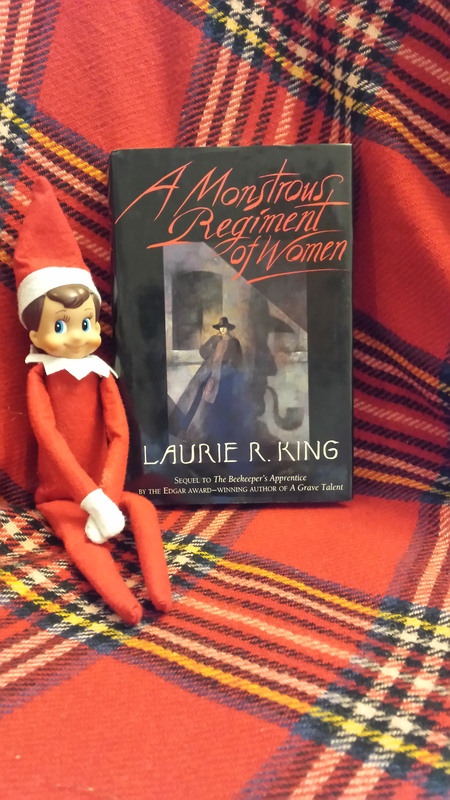 Carole Nelson Douglas has written a series of mysteries featuring Irene Adler; Nancy Springer gives Mycroft and Sherlock a sleuthing younger sister; Margaret Park Bridges even goes so far as to imagine Sherlock Holmes as a woman herself! Many other writers give Holmes strong female characters with whom to interact, and on television, both 21st-century re-imaginings have Holmes working with or against women with presence and depth. And then there’s Mary Russell. 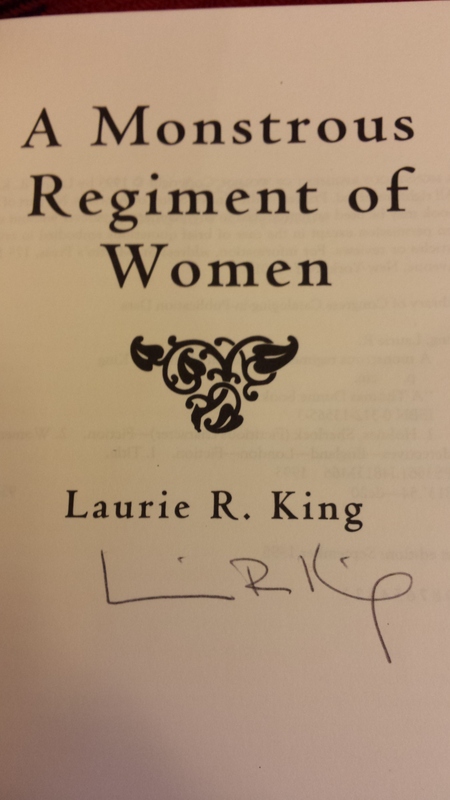 It looks like an older copy of the second book in the series, A Monstrous Regiment of Women. And it is. But it also features…. 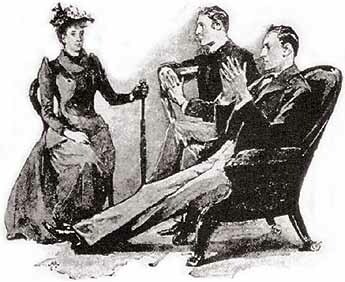 Many Sherlockians play “The Game,” in which they operate on the assumption that the Canon stories actually occurred. BBC Sherlock has an episode entitled “The Great Game,” in which Moriarty sends Sherlock and John a series of dangerous puzzles. When historians discuss “The Great Game,” to what are they referring? Got the answer? Send it to me via the blog comments, Twitter DM or Facebook PM! Congratulations to Carlina de la Cova, winner of the 2 BSJs! She knew that Conan Doyle decided to set The Hound of the Baskervilles in 1889, before Holmes actually returned from the dead in the spring of 1894. I was, quite frankly, amazed at the number of responses for this question–apparently there is quite a demand for old Baker Street Journals! Actually, they are not very expensive. In my hunt for prizes this past fall, I found them listed for, on average and dependent on age and condition, $15 to $45. The only issue that was prohibitively expensive was, of course, Volume 1, Issue 1, and those sellers seemed determined to price themselves out of the general market. ‘The Great Game’ refers to the rivalry between Britain and Russia in the 19th century, concerning Russia’s expansion into the Middle and Far East.